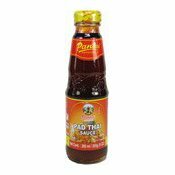 Pantai Pad Thai Sauce is the typical sauce for cooking Thai Fried Noodles. 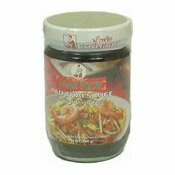 Its appetising flavour of Tamarind (sweet and sour in taste) is the excellent choice of stir-fried dishes. Allergy Advice: Contains Fish, Coconut. 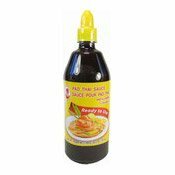 Ingredients: Sugar, Water, Tamarind (12.5%), Palm Sugar (8%), Fish Sauce (Anchovy Extract, Salt, Sugar), Salt, Acidity Regulator (Acetic Acid (E260)), Colour (Paprika Oleoresin (E160c)). 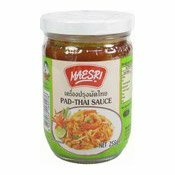 Simply enter your details below and we will send you an e-mail when “Pad Thai Sauce (泰式金邊粉炒醬)” is back in stock!